What is the most fundamental lesson learned for investors from the Financial Crisis of 2008? It is simple and in the name. We don't call 2008 the Great Recession. We call it the Financial Crisis. 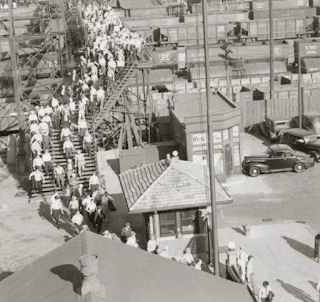 Financial conditions matter more than what we have thought in the past. If money and credit is the oil that runs the engine of commerce, then financial conditions measure the efficiency of the wiring. Financial conditions impact all markets. When there is a breakdown in the financial environment, credit will not properly flow to those that need it. A break in financial conditions will change the willingness of financial institutions to lend and the confidence of firms and consumers to borrow. There are real effects from changes in financial conditions, but investors and consumer react to finance conditions by either being more optimistic or pessimistic on growth or returns on investment. This change in sentiment affects financial prices. Hence, financial conditions should be monitored to track potential changes in economic growth and the value of assets. This emphasis on financial conditions is now a focus of macro research, and global macro investors should follow them closely. 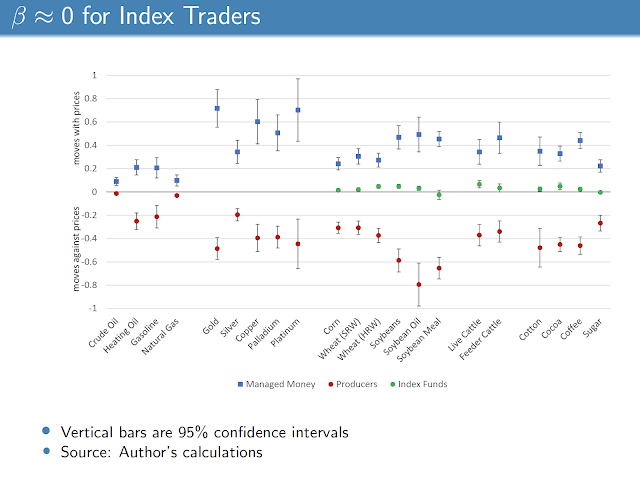 Financial condition indices (FCIs) use information from a wide set of financial variables to measure risk-taking and possible financial frictions. Wall Street firms, Federal Reserve Banks, other central banks, and the IMF have all developed FCIs. The indices provide insight on whether markets are in a risk-on or risk-off environment. Risk-on/risk-off (RORO) regimes are another way of measuring global sentiment through fundamental factors. 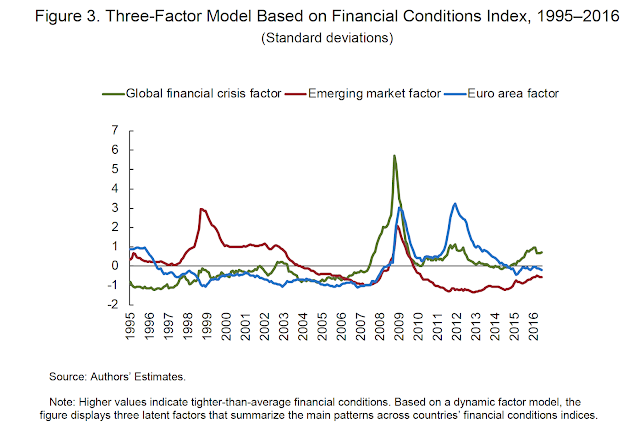 Recent research, (see "Can countries manage their financial conditions amid globalization" IMF Working Paper, WP/18/15) has focused on the impact of global and local financial conditions on different economics. The authors look at 10 financial indicators including: corporate spreads, term spreads, interbank spreads, sovereign spreads, change in long-term rates, equity and housing price returns, equity volatility, credit growth, and financial market share. 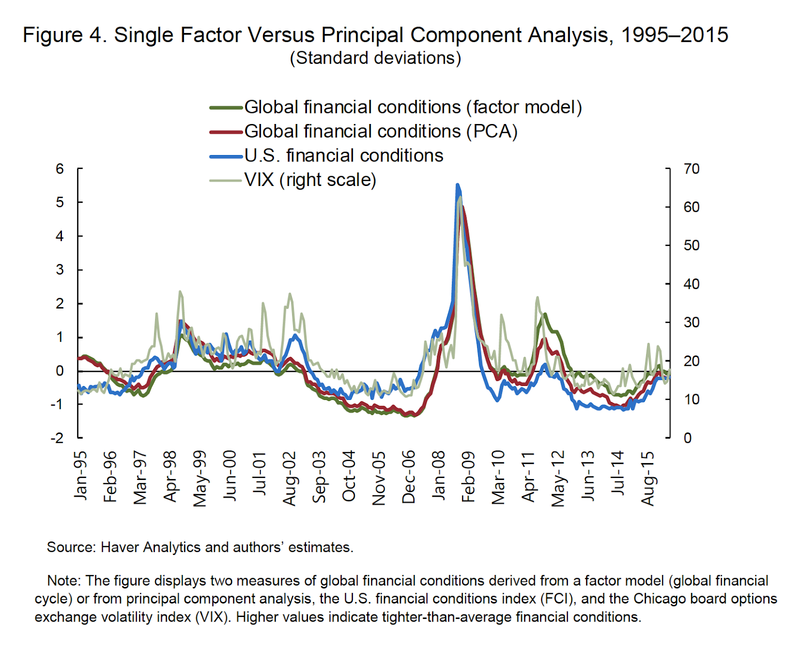 Their analysis looks at both global and local financial conditions across a broad settlement of countries. 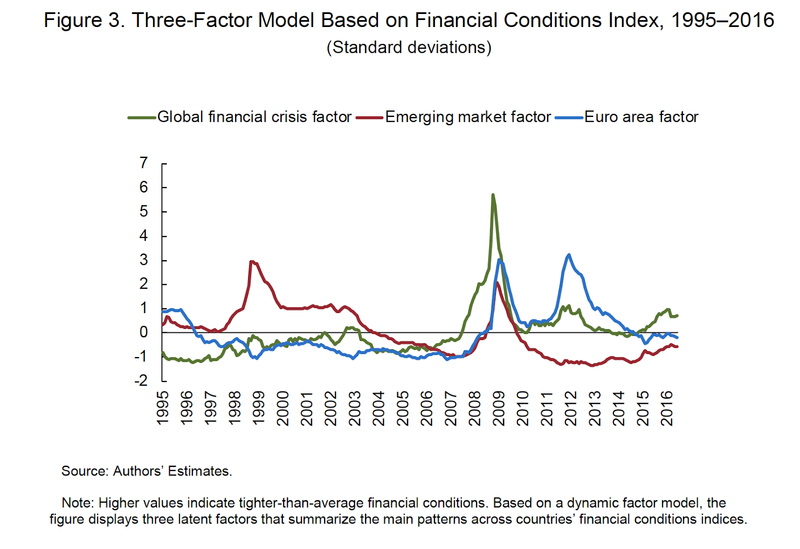 Their evidence suggests that common global financial conditions have a meaningful effect on the financial conditions of local economies, between 20% to 40%. The global financial conditions are closely tied to US financial conditions and global risk factors like the VIX index. Still, local financial conditions are different across countries so following each country's conditions is useful. If you want to avoid country specific macro risks, track global financial conditions as well as local conditions. If these conditions start to turn negative there is a clear signal that financial sentiment is changing. What still needs to be done, is measuring the link between the level and change in financial conditions with future market returns. An extreme move is a clear signal, but the sensitivity between financial conditions and performance still needs further documentation. Daniel Ellsberg was a leading thinker on decision theory when he worked with the RAND corporation. The Ellsberg paradox, which he developed, is not given as much attention as it should for those focused on decision-making. The paradox is simple. People will take a specific bet with known odds than an alternative where the odds are unknown. If give a choice between picking from an urn with 50% winners and 50% losers or an urn with an unknown number of winners and losers, most will choose the urn with the known probabilities even though the unknown urn may have a higher number of winners and chance of success. You could say investors are always willing to take the deal with the devil they know against the devil they don't know. Ellsberg in his recent new book, which is a sobering discussion of his study of nuclear war in the 50's and 60's, provides his broad definition of ambiguity. It struck me as a good description of the problem that investment managers constantly face. We don't always have all the information we desire. We are faced with unfamiliar choices. The explanatory power of our models is mixed, and there are contradictory opinions of experts. I can think of at least a half a dozen decisions that could be characterized by ambiguity in the first quarter of this year. 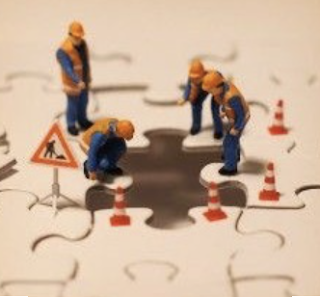 The frameworks that are needed for decision-making have to be reviewed and improved. This improvement could be through the better use of scenarios building, forming ensembles of models, discounting experts, or adding information, but any current process should be reviewed to determine if there is a better way of making disciplined decisions. There is a host of alternative risk premiums that are available in the market; some have low returns and low volatility, some good returns but low information ratios, and others have had spotty returns that have moved between good and bad periods. Yet, there is a significant value with these strategies when they are blended together through total return swaps. The value is created through two key features, the low correlation across strategies and the executing through swaps which provides variable leverage. Most of risk premium strategies are uncorrelated with each other. It is safe to say that most will have correlations that fall between 0 and .5. Their unique return profiles generate true investor value. 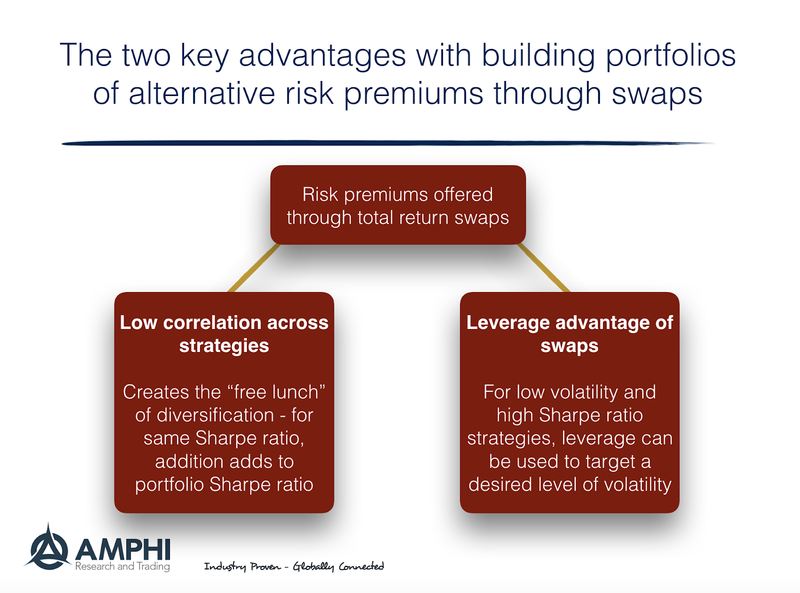 The uncorrelated nature of alternative risk premiums allow them to gain the "free lunch" of finance when bundled in a portfolio, diversification. These strategies can be blended together to form portfolios that actually have higher Sharpe ratios than the premium strategies on their own. The decline in volatility is greater than the weighted average of returns. Because these strategies can be executed through total return swaps, these risk premium strategies have the added feature that they can be levered to equalize risk across strategies and can use leverage to hit any portfolio volatility target. This is especially important because many risk premium strategies have very low volatility but relatively high Sharpe ratios. The true value of risk premium investing can be achieved through leveraging to a higher volatility. This can be achieved through investing in swaps. Given that low correlation and low volatility combined will lead to even lower portfolio volatility, the leverage available in swaps allows for meeting portfolio volatility targets that are consistent with the needs of investors. An unlevered 5% volatility portfolio with a 1.2 Sharpe ratio will still not cover the discount rate used by many pensions (7%). The swaps can be structured to reach a 10% volatility and generate potential returns that are above discount rates and still be uncorrelated with traditional investments. There are still challenges with alternative risk premium. 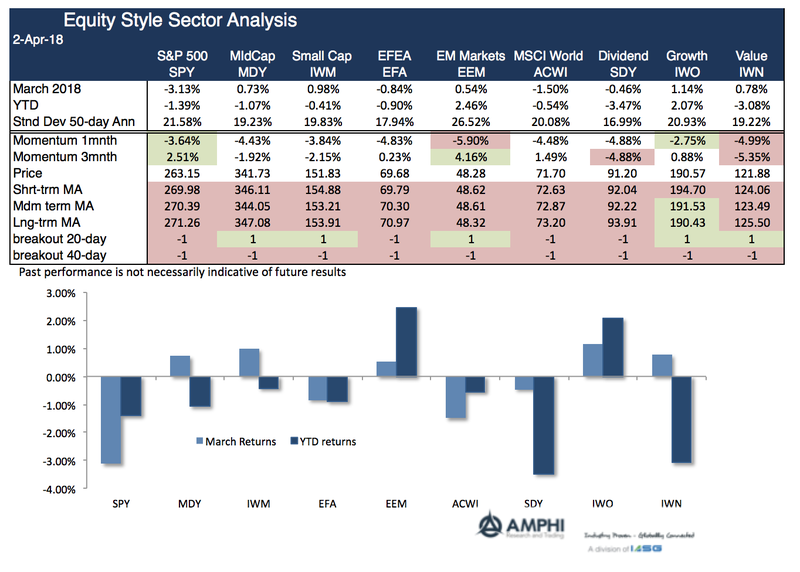 Multi-strategy index portfolios have not shown compelling returns. Investors still need to pick premium combinations that work, yet the low correlation and leverage advantages makes risk premium investing an interesting alternative to hedge funds. A core-satellite approach has often been discussed as a good intuitive approach to allocating of asset classes and active or skill-based manager. Investors should form a diversified core portfolio based on traditional market betas and then add active managers around this core allocation. Get the core right and then fold in the alpha producing satellites. Complications arise when the active managers are represented by hedge funds which do not closely hug traditional benchmarks. Hedge funds do not generally focus on market beta, but their risks may be closely aligned with strategies that try and exploit alternative risk premiums. These risk premiums, including, carry, value, momentum are often well-defined and can be bought cheaply. 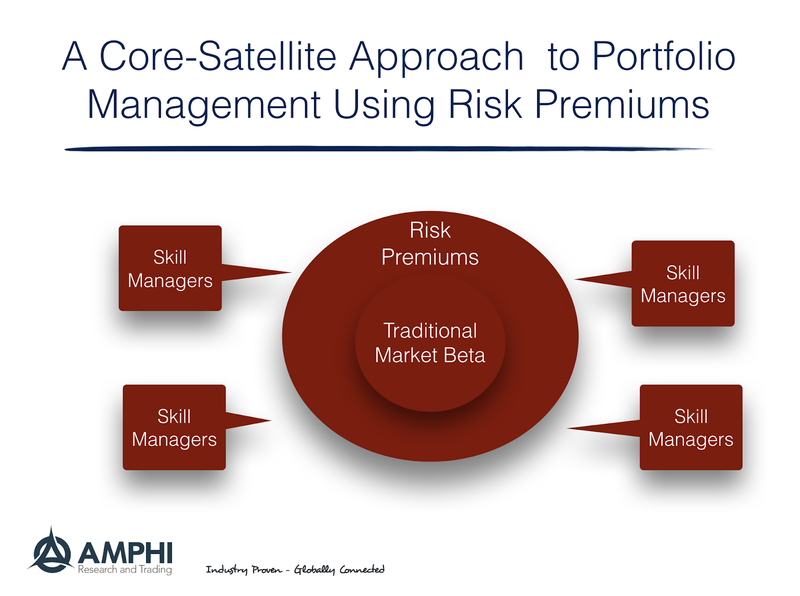 Active managers, including hedge funds, can be decomposed beyond traditional betas to better define risks and alpha; consequently, a core-satellite based on risk premiums is a natural extension of earlier asset allocation approaches. Hence, investors should think of a core-satellite approach to managing risk premiums. This approach would allow for a more refined look at asset allocation while still encompassing the core idea of traditional asset class beta. Investors can start with core holdings of traditional betas based on asset classes, add in risk premiums that can be expressed through "smart beta" in the form of long-only investments or a set of alternative risk premiums which can be modeled and purchased relatively cheaply, and finally layer in a set of skill managers. The level of complexity will move from asset class market risks, to unique risk premiums, to alpha generating skill. The skill manager allocations (satellites) will be for strategies that are not easily replicated, based on unique skills, focused on unique opportunities that may not be persistent, or alpha generation from non-transparent or easily described strategies that do not include core risk premiums. By their nature, these skill satellites will be rare and only added after traditional beta and risk premium allocations are constructed. The importance of the decomposition is apparent if an investor wants good transparency and low cost with ability to associate performance with well-defined risk factors. The true satellites will be associated with the few managers who have uncorrelated unique skills that cannot be created cheaply. Picking managers without this decomposition leads to poorly defined risks and higher costs. Alpha will shrink but risk definition and composition will increase. An exercise of defining portfolios by this core and satellite approach will improve overall portfolio assessment. How much risk is there for fixed income investors if the yield curve is flat? I will break the problem into two parts. 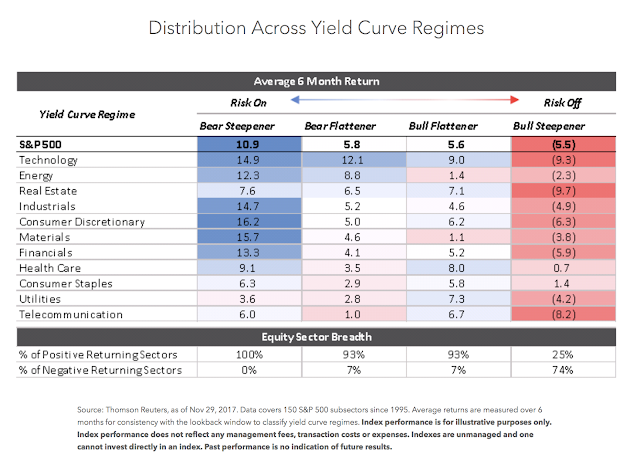 If the curve is flat, investors are not receiving any yield compensation for holding longer duration, riskier, instruments. You can get the same yield with less risk by holding shorter maturity debt. As a no-forecast position, investors should not go out the yield curve. However, we should also ask the question about what happens to future yield changes if there is a yield curve inversion. 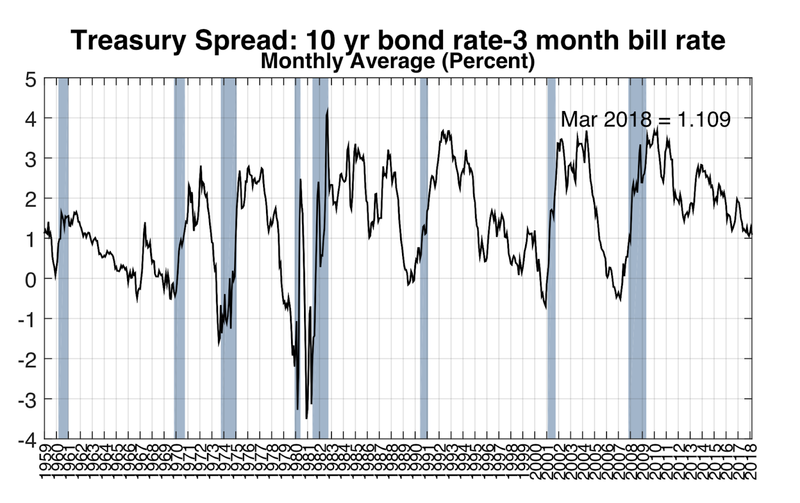 For the period November 1976 to April 2018, we compared the 10-year/2-year constant maturity speed against the change in 10-year yields over the future six months. 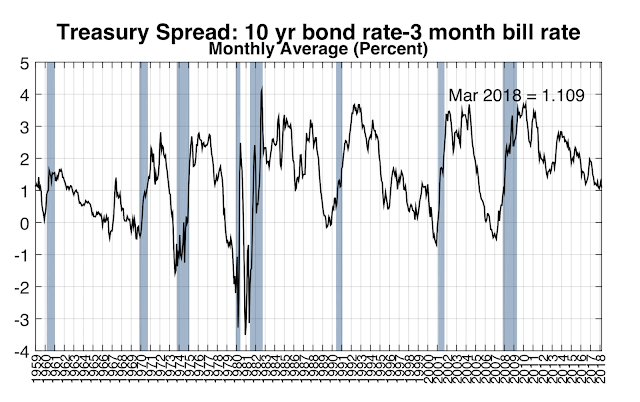 Only 14.5% of the time period shows negative spreads. If we are in an inverted spread period, there is a 63% chance of a rate increase over the next six months. Of course, there is over a period when rates were generally falling. There is total return risk as rates rise during this period. Hence, investors should avoid duration risk during inverted yield curve periods. 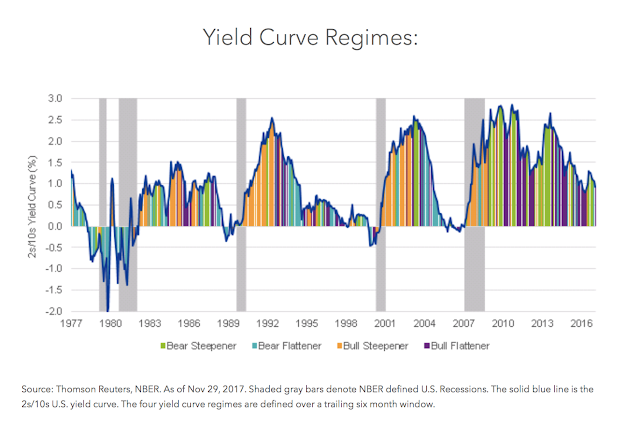 Periods of flat yield curve have a wider range for possible rate changes, but these flat periods do not have a bias to higher yields. 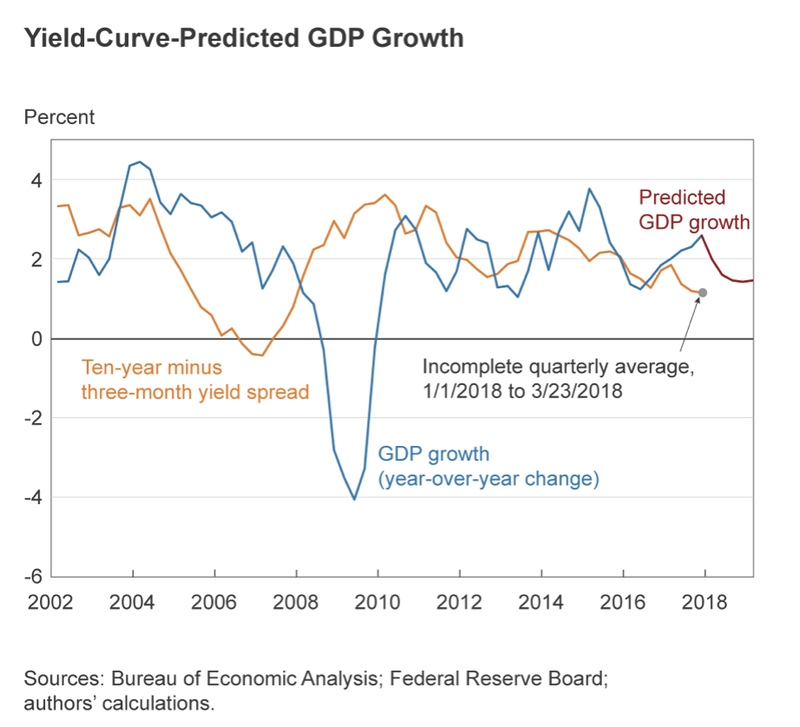 There has been significant focus on the flattening of the yield curve, yet there has not been precision in what it is currently telling us. 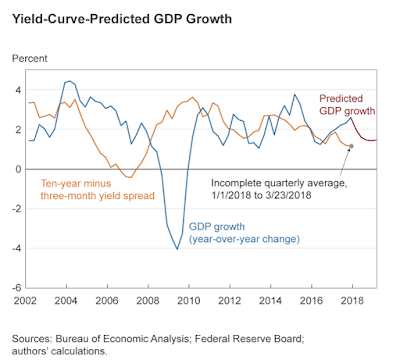 There has been extensive research on the predictive power of the yield curve and economic growth. A bibliography form the New York Fed lists over 90 research papers on the subject. 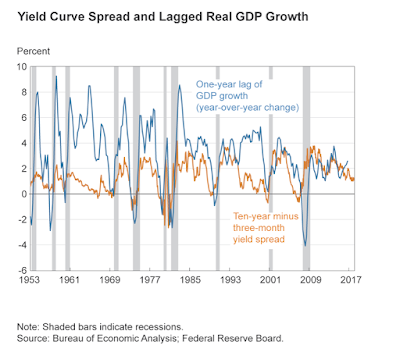 The general theme is that an inverted yield curve is a good indicator of a recession and provides useful and independent research relative to other economic indicators. However, we are not yet in inverted territory. The Cleveland Fed does provide a level of precision on yield curve signals. These charts are as reported through the end of March and are likely to show more elevated levels, but the basic story is the same. 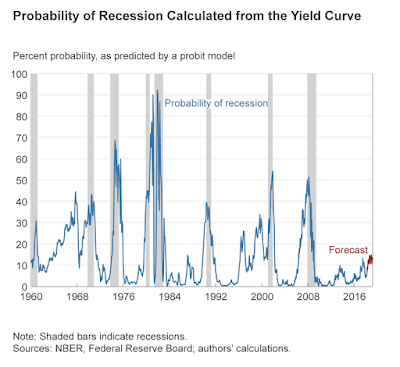 Economic growth would be slowing and will likely be below 2%, but the probability of a recession is below 20%. Nevertheless, this probability is at the highest level since the Financial Crisis. The curve link with GDP suggests a one year lag relationship. There is no doubt there should be heightened investor concern with this flattening, but a flattening is not an inversion and there is a risk from getting defensive too early. There is not a need to go to a risk-off portfolio, but there should be an awareness that further risk-taking would be at odds with developing evidence. Why are some investors risk takers and others are not? 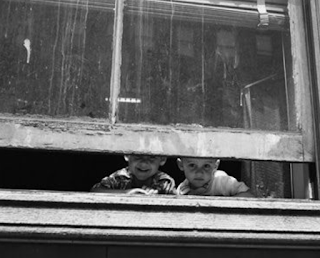 Is risk-taking something that can be taught or is it innate? Risk-taking – is it nature or nurture? These are important questions that have an impact on how investors build portfolios and how they will grow wealth. Most researchers have often avoided these questions because they are difficult to test. Economics will describe the behavior of risk-takers and those who are risk averse, but there is little discussion on how individuals got these characteristics. A recent Journal of Finance “On the Origins of Risk-Taking in Financial Markets” (October 2017) by Sandra Black, Paul Devereux, Petter Lundborg, and Kaveh Majleski looks at this issue through striding the behavior of Swedish adoptees and makes some interesting conclusions. The environment dominates genetics however they both play a role. Intergenerational transfer of risk-taking and asset allocation behavior exists. 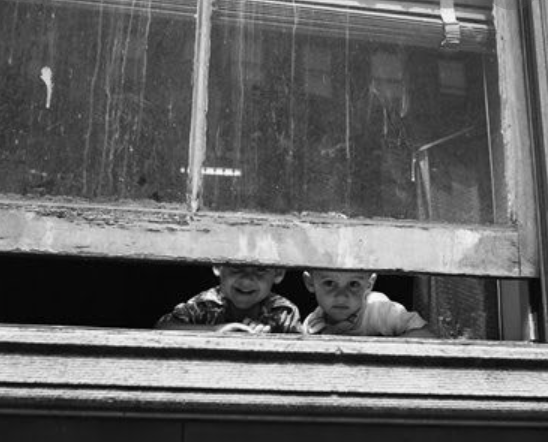 Children are taught or learn how to be risk-takers from their parents. Those risk-takers are willing to skew their portfolio allocations to equities and thus are able to grow wealth faster than others. 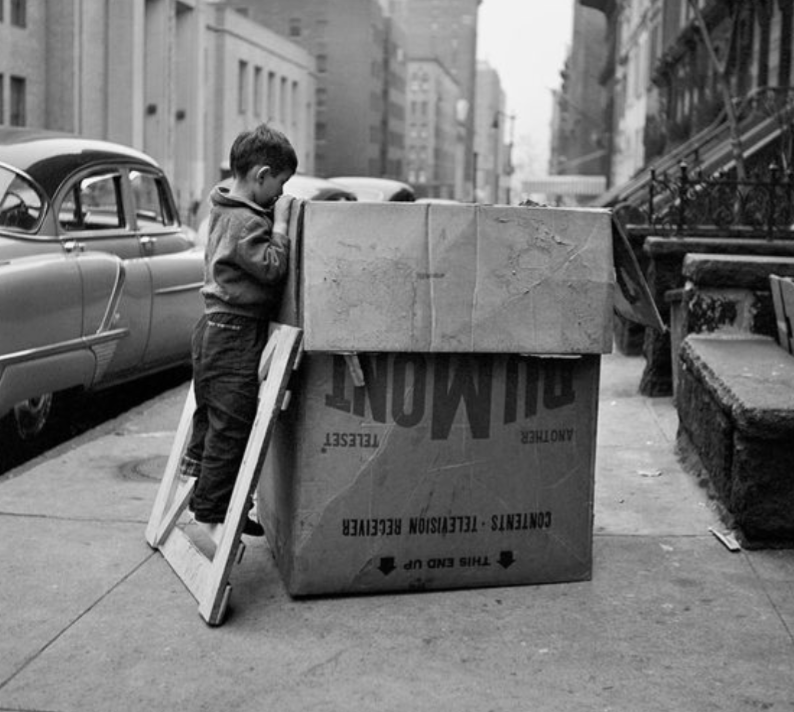 Perhaps risk-taking traders are that way because they grew-up in an environment that allowed for more risk-taking? From my quant bias, it tells me that allowing models to help with the decision process will allow innate risk preferences to be over-ridden. There is no value judgment on this transfer effect of nurturing, but appreciating its existence allows for adjustments in behavior. The yield curve is flattening - What is it telling investors and what should you do about it? There has been a litany of stories on yield curve flatness as if this is the signal that will provide the investment secret to success for 2018. Investors should watch the yield curve closely, but it is important to focus on what it is and is not signaling. There is a cost with trying to be preemptive to what is being signaled in the yield curve. 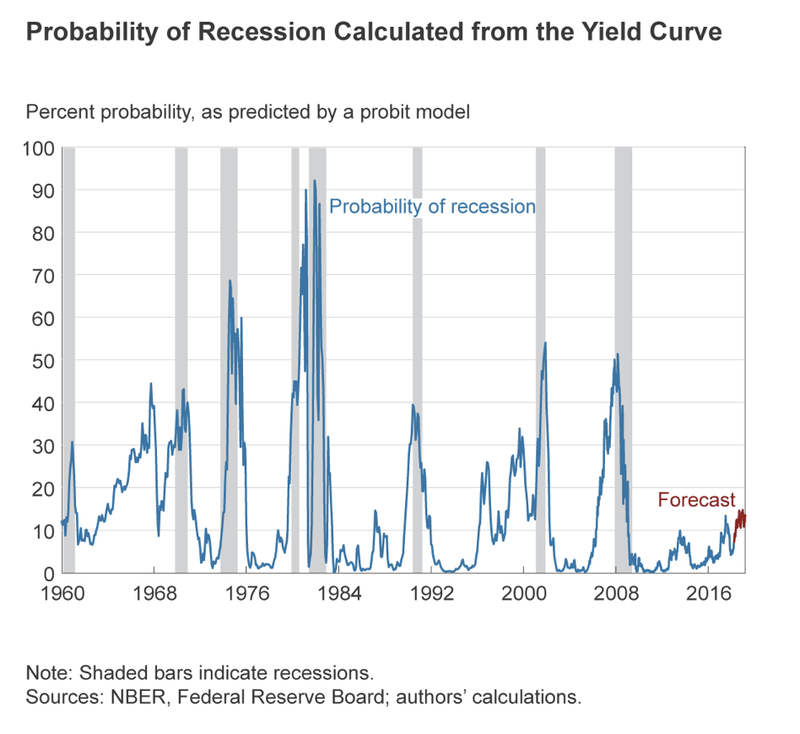 Recessions - Inverted yield curves precede recessions although flat curves can last for a long time before becoming inverted or showing a recession signal. All recessions are preceded by inversions but not all inversions lead to recessions. 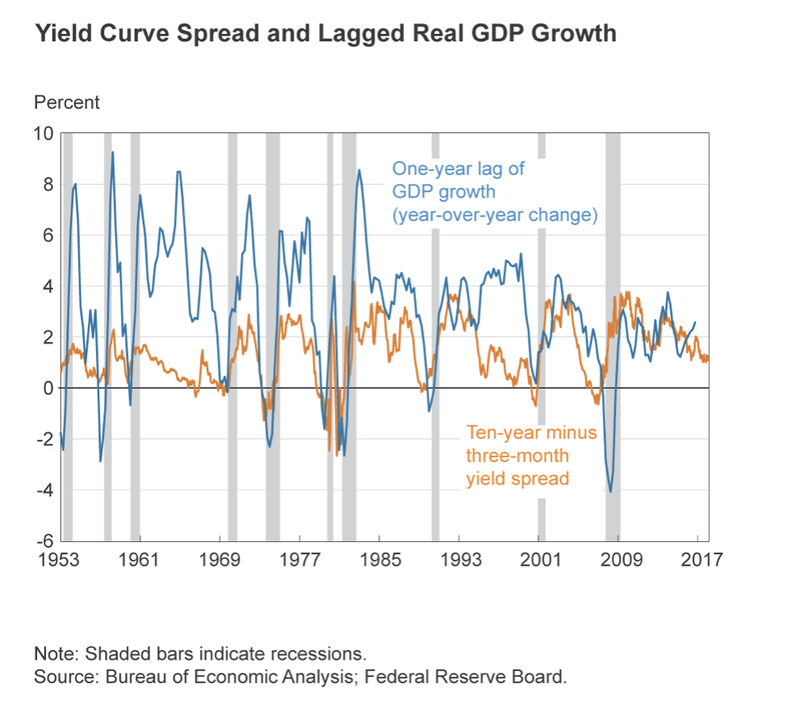 Fed behavior - Flattening and inverted yield curve are associated with tightening of Fed policy, but tightening does not mean that a market sell-off or recession is around the corner. The link between the beginning of the tightening cycle and the impact on financial markets is loose. Term premium risk - Flat yield curves tell investors there is no compensation for taking duration risk. There is limited reason to take marginal duration risk. We find that flat curves signal future increases in yield. It is a negative signal for bonds. Equity markets - Flatter yield curve do not mean lower stock returns. Flattening curves are not associated with market sell-offs. Now, there is a truism that you have to get flat to go inverted; however, there can be a long lag between showing flatness of inside 100 bps and moving to an inverted curve. Watch the slope of the curve, but be careful about trying to be early with the portfolio changes. Adjusting intra asset class allocations is different from allocation changes across asset classes. Reducing duration risk or equity sector exposures does not mean switching from risk-on to risk-off allocations at a macro portfolio level. This is the second in our series; all you need to know about a topic should fit on a "3 by 5" index card. 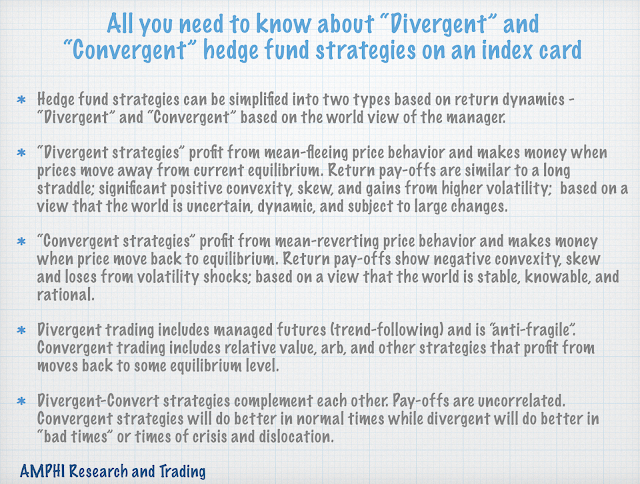 We think the complexity of hedge fund investing can be simplified if the simple dichotomy of divergent and convergent trading is used as a primary method of describing potential return pay-offs. If you strip away all of the activities and the just get down to basics, strategies are based on the world view of the manager and will either make money when prices move away from the mean or equilibrium price or prices revert to the mean or equilibrium price. If a manager believes the world is knowable, stable, and rational, he will be comfortable taking relative value arbitrage risks. If a manager believes the world its unknowable, dynamic, and subject to mistakes and biases, he will be comfortable with strategies that make money from market dislocations. Investors will be rewarded from convergent trading when prices are stable and times are normal. You will be rewarded with holding divergent strategies when there are large market dislocation and price movement away from the mean. This is not the end of the story on hedge fund investing but a good start for any discussion. See: Mark Rzepczynski "Market Vision and Investment Styles: Convergent and Divergent Trading" Journal of Alternative Investments (Winter 1999). Static investments in long-only commodity indices have had a checkered past since the financial crisis. With the end of the commodity super-cycle, there has been a long commodity unwind and passive investing in commodities has generated negative annualized returns for investors for years. There has not been any bounce to pre-crisis level like we seen in equities. 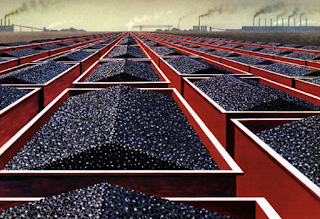 The interest in commodities as an inflation hedge has waned with this poor performance. Recent research from Tom Erik Sonsteng Henriksen, "Properties of Long/Short Commodity Indices in Stock and Bond Portfolios" in the Spring 2018 Journal of Alternative Investments further confirms the distinctive features and value of long/short commodity investing through analyzing some existing investment funds available to investors. There has been a significant decline in performance since the launch of these funds, which corresponds to the post-Financial Crisis period, but the shortfalls relative to the pre-crisis periods are significantly lower the what has been seen with long-only investing. When added to portfolios of stocks and bonds using a variety of portfolio allocation methods including variations on risk parity, the author finds that returns are lowered especially in the post-crisis period, but there also is significant risk reduction and a general improvement in the return to risk ratio. Our take-away is that employing long/short commodities indices comprised of risk premiums have diversification benefit but the potential for return enhancement is mixed and affected by the time period analyzed. Since the study looked at funds that have singular purpose like momentum or carry, there is still room for further analysis on the impact of bundled risk premium portfolios. 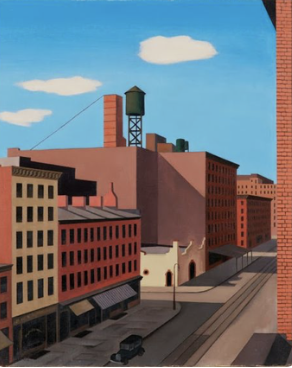 Nevertheless, there is value in looking at enhanced commodity allocations at this time given the higher potential for inflation, better overall commodity environment, and the continued global economic growth. There has been a consistent drumbeat that investors should use hedge funds as a core means of portfolio diversification. This has been at the expense of other methods of hedging. A diversification strategy makes sense when there is no investor information advantage or no view on the direction of markets, but in reality, investors often have some view on market direction or risks at the extreme. However, given the uncertainty on market direction and the inability to form conditional hedges, the investor focus is usually on strategy diversification through hedge funds. Nevertheless, option strategies can be effective alternatives to hedge funds especially if there is a market view. We mention the issue of market view because low cost option strategies will often buy puts to protect a percentage of the portfolio or protect against a specific sized move and selling calls is used to generate premium to pay for the puts. The call selling is based on either a market view or a willingness to limit upside. There is a close link between hedge fund pay-offs and option pay-offs. A number of researchers have used options pay-offs to describe hedge fund returns. For example, managed futures have often been described as being long a straddle. Some relative value strategies have been described as being short options. Given this link between the non-linear pay-off of options and hedge fund strategies, it would seem natural to compare the two to see which actually perform better when equalized on volatility or market exposure. On the one hand, investors access the skill of the hedge fund manager versus the direct pay-off from options which do not include all the fees associated with a hedge fund. Given that option should be cheaper, a simple question is whether hedge fund skill can cover their costs and also outperform an option strategy. We think this work has been under-researched, yet that is changing with a recent paper in the Journal of Alternative Investments. (See "alternatives to Alternative Assets: Assessing S&P 500 Index Option Strategies as Hedge Fund Replacements" by Wei Ge.) 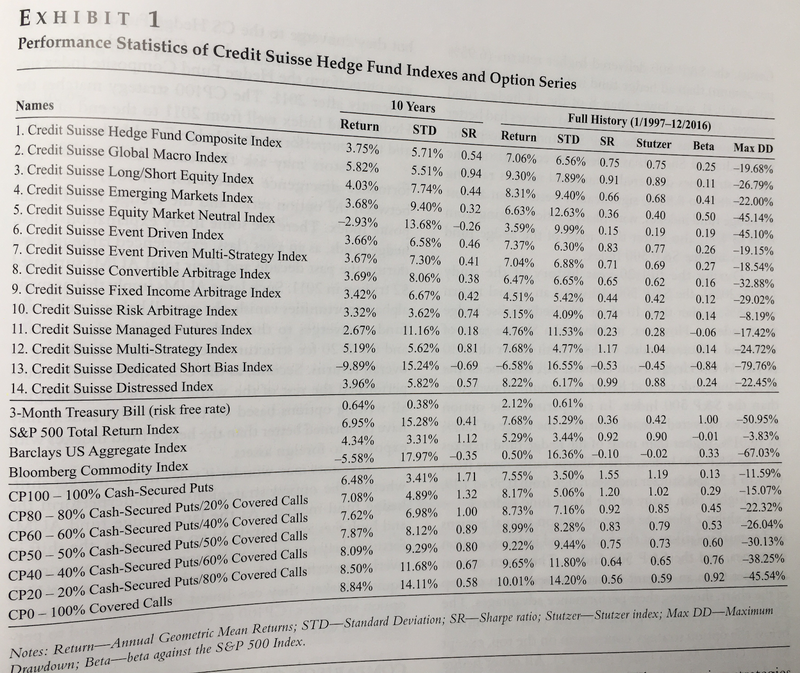 The author compares seven different option strategies on an equity index against 14 different Credit Suisse hedge fund indices that cover all of the major hedge fund strategies. The comparison is done through either beta volatility matching. The results show that the combined option strategies of buying puts and selling calls against the index generated higher returns and have better return to risk characteristics. The numbers are economically significant and should be persuasive even to motivate any investor to take a closer look at the value of these strategies as a hedge fund alternative. 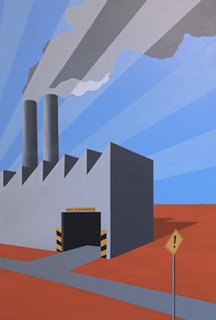 There are a host of management issues with trying to implement options strategies as well as regulatory barriers, but all of these can be effectively addressed. 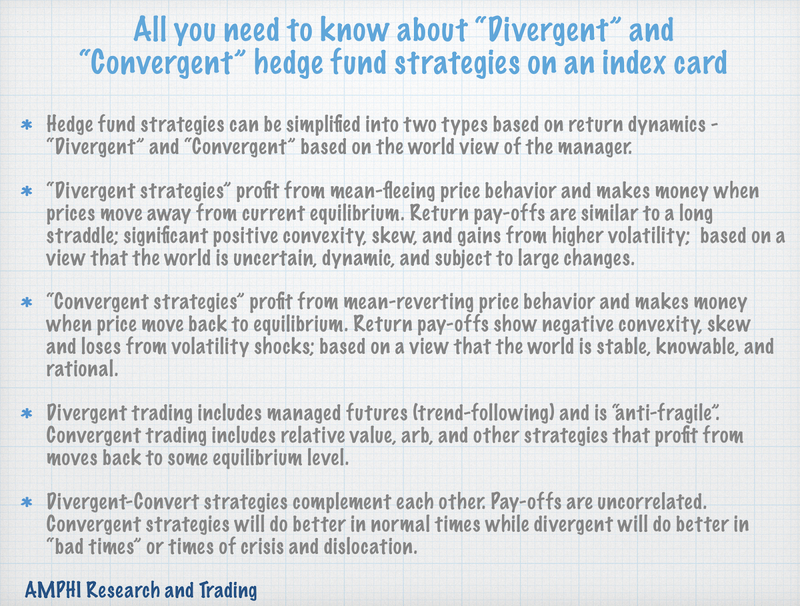 Why limit diversification alternatives to hedge funds when there are option strategies that can provide better choices? Morningstar star ratings - Do they really work or are they a dangerous tool? This is important to revisit given the increased number of hedge funds that now have '40 Act fund structures that are ranked by Morningstar. Like most tools, if they are used inappropriately, there will be problems. There is an ongoing controversy between Morningstar and others on the signaling value of a 5-star rating or for that matter any ranking. The ranking today may not provide predictive power on future ranking or performance. Our view is that their ranking system is a good start for analysis but should not be used as a definitive measure. Some of the problem with the ranking are associated with just understanding what is being measured. The ratings are a risk adjusted ranking of funds within a defined investment category. While the approach accounts for downside risk, the stars are nothing more than a ranking system. A 5-star fund will be in the top 10 percent of the funds within the category. Morningstar grades on a curve, it is hard to maintain a 5-star rating. It is backward-looking based on performance and says nothing about the quality of the manager, their philosophy, or what the fund will do in the future other than to say for the sample periods it has a high ranking. Morningstar also has analyst rating which are forward-looking and rank by a colored shield but this approach is not as popular as the risk rating. The ranking is also weighted by the time outstanding for the fund. 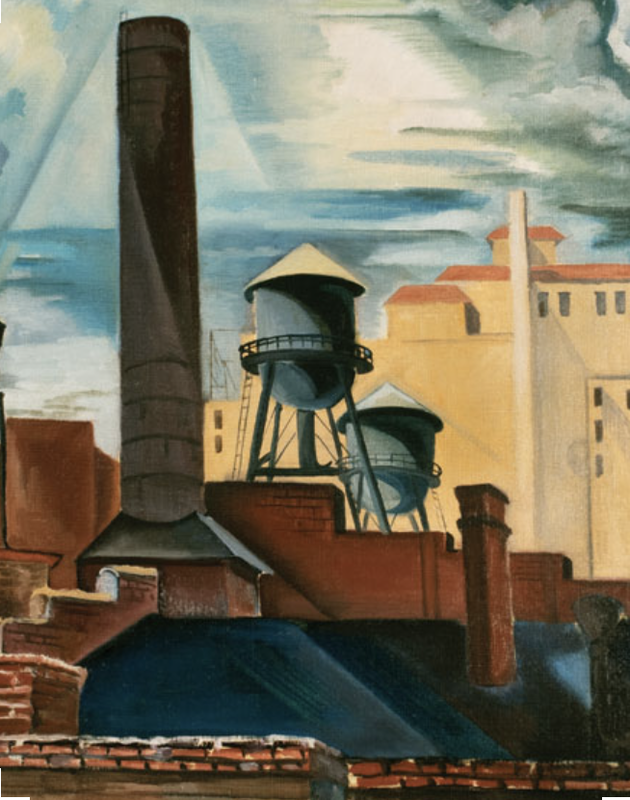 We think the ranking value may have less signaling in alternative investments for two reasons. One, the sizes of the categories has changed significantly over the last few years with the growth in alternative investment funds. Two, the categorization of alternative investments is not as precise as in some of the more traditional categories. Hence, there may be noisier investor information in these ranking measures. Predictability comes with a positive correlation between ranking today and the performance tomorrow. The research on predictability is mixed. A ranking could still remain high but there can be a decline in returns. A ranking could fall and there be better risk-adjusted performance next period. The risk ranking does to account for any changes in the fund structure. Hence, it is hard to place too much emphasis in the ranking until you define carefully what is being measured. Do you want to predict return? Do you want to predict future rankings? Do you want to predict absolute return to risk? Do you want to make a prediction about return or ranking versus other categories? There needs to be more research on the value of rankings for alternative investments in order to provide investors with better advise on allocation to these growing categories of funds. 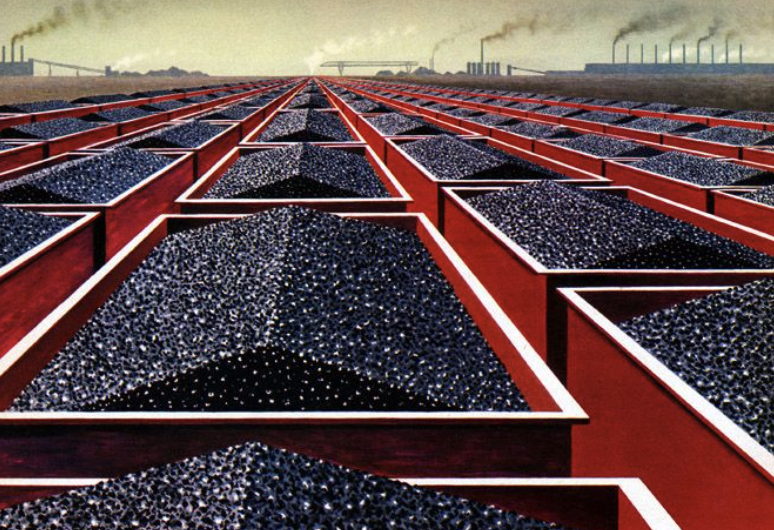 Do speculators drive prices away from commodity fundamentals? This is one of the core commodity futures markets questions. One approach to answering this question is through looking at the price dynamics, but the advantage of futures is that we have reporting of position information by specific traders groups. Trade flows can be divided into producers, money managers (speculators), swaps dealers, and indexers. The relative balance between these groups can tell us about the market structure, a dynamic agent-based analysis. The questions was tackled by Aaron Smith of the UC Davis at the Protecting America's Agricultural Markets: An Agricultural Commodity Futures Conference in his presentation, "Do speculators drive commodity prices away from supply and demand fundamentals?". 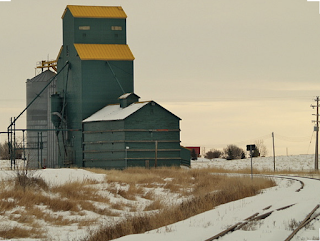 This provides good answers to some very basic commodity futures questions. 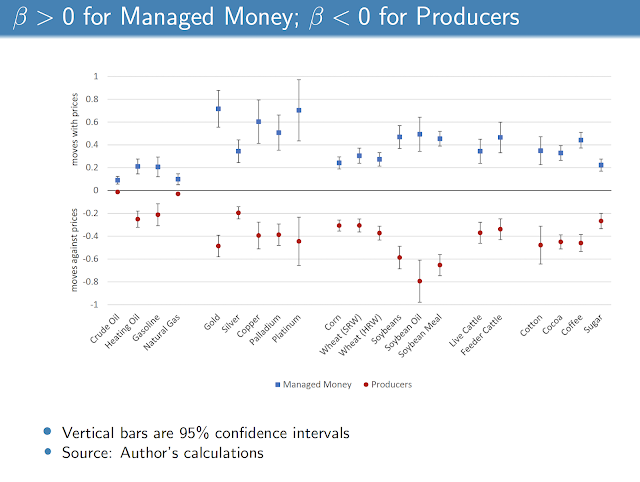 On average producers (hedgers) are net short and managed money is net long. Swaps dealers are also generally net long. This numbers are consistent with the traditional stories that speculators are needed to take the other side of risk from hedgers. Speculators receive a risk premiums for that the other side of hedger activity. 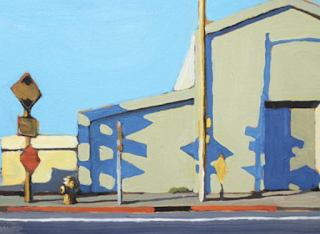 This work can be extended by looking at the relationship between price and agent behavior. 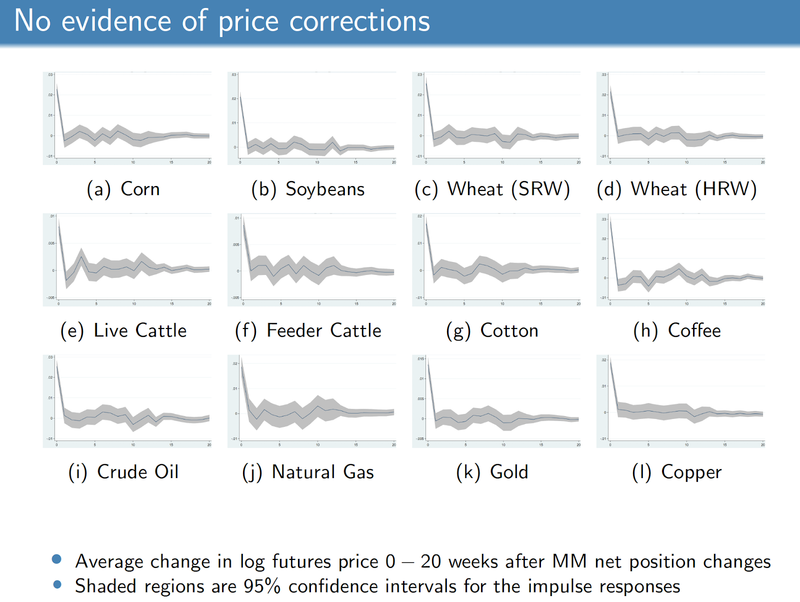 Across a board set of commodities, the data show that changes in producer positions have a negative relationship with changes in futures prices while managed money has a positive relationship with price changes, This is consistent with the story that speculators follow trends in prices while hedgers will be behaving in manner to offset price risk. 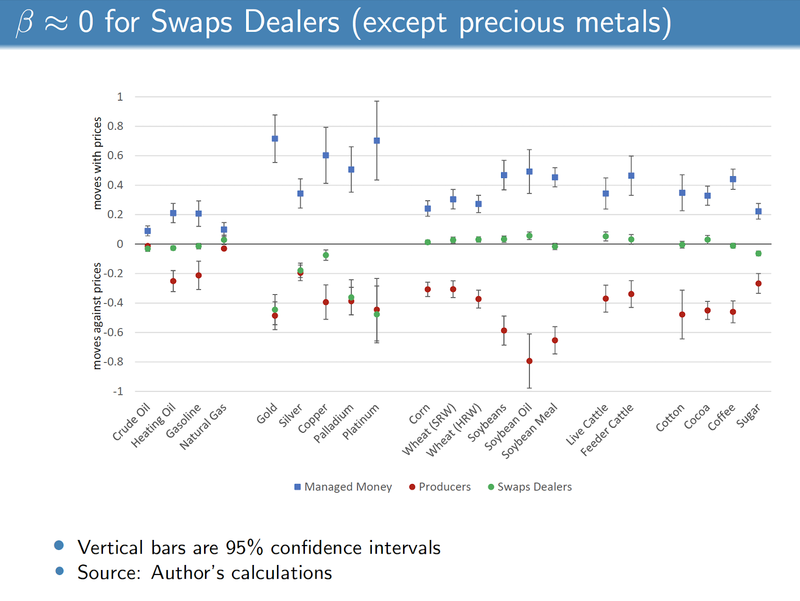 Swap dealers, in general, are price independent except in the metals markets given more directional hedging against OTC positions. Index traders are also price indifferent. Their activities are more likely associated with diversification trades like what would be seen in risk parity programs. 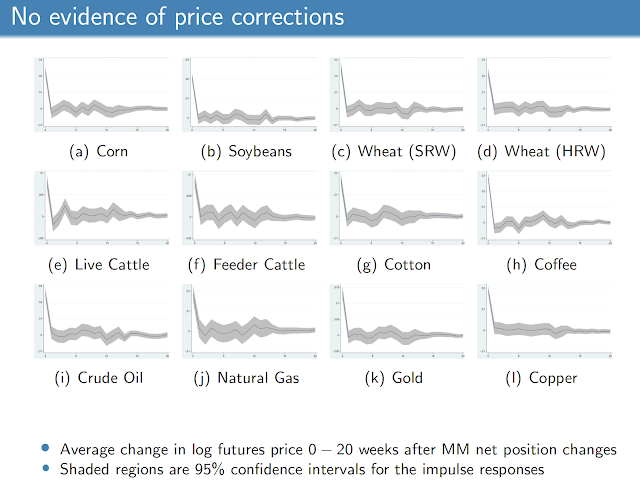 The key piece of Smith's research is to relate the changes in positions of managed money with price corrections. He finds that managed money will be positively related price changes, but there will not be a price reversal in the subsequent weeks. There is not evidence that managed money will push prices away from fundamentals in a manner that would lead to future adjustments. This work on the decomposition of futures traders adds to our understanding of price dynamics and speculation in futures markets. It also helps us appreciate the dynamics of different players in futures markets. There is still a symbiotic relationship between hedgers and speculations where each is needed to have an effective market. There has been an explosion of alternative measures and methods to access market betas and risk premiums, yet it is not always easy to explain what this added complexity should give investors. 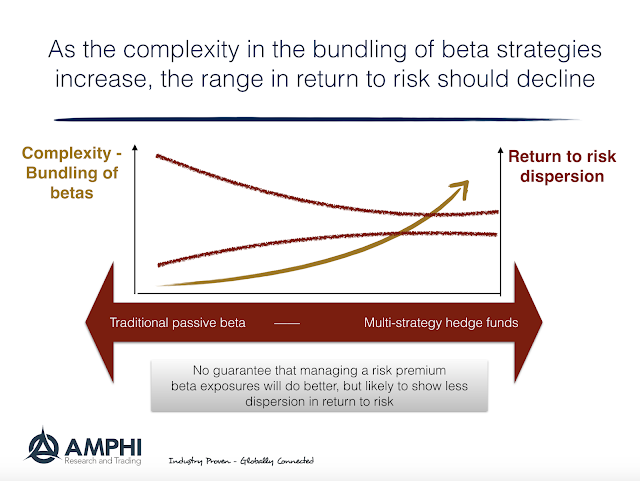 We want to simplify the discussion to a simple trade-off - added beta "complexity" through either decomposing, diversifying, or managing the set of betas should reduce the range of return to risk. The managing of beta risks will not always outperform the return to risk of a passive traditional beta portfolio in, for example, a classic market cap stock index, but a sample of return to risk ratios or the rolling return to risks ratios of a portfolio of risk premiums through time should be more stable. Complexity or the management of the beta risks will buy you stability, diversification, and potential long-term return to risk advantages. Added value will come if the manager has skill at bundling and adjusting beta exposures. In the simplest case, investors allocate to a traditional asset class benchmark which will return the market risk premium. It will vary with the business cycle and pay investors for the risk of loss during "bad times". From that simple case investors may buy a diversified portfolio of asset class betas that will have more stable return to risk. Within an asset class, the portfolio can be adjusted based on alternative risk premiums or betas such as size, value, momentum. This portfolio could represent different smart betas. An added level of complexity beyond asset class or smart betas is gained through alternative risk premium where strategies combine long/short positions. This could be, for example, momentum/trend managers like what is seen in managed futures. It could also be a long/short equity trading based on value. An even more complex case would the bundling of alternative risk premium in a portfolio or through a must-strategy hedge fund. The decomposition of risk into different factors or risk premium has allowed for more reordering of the risk within a portfolio. 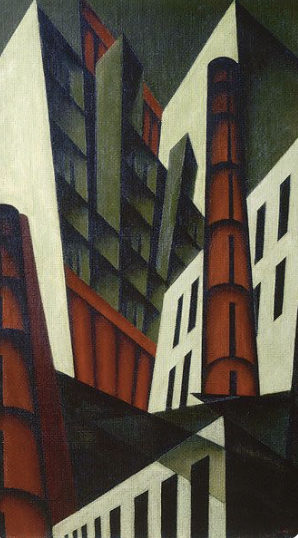 The reordering of risk premium should result in smoother return to risk trade-offs. Trend-following CTAs and managed futures has evolved over the years. Many of the largest firms today would not be recognizable from those who were the largest during the 1980s and 90s. Some of this change in leadership is due to business decisions, but it also has to do with the evolution of the investment process. CTAs have evolved with research trends in finance, the changing focus of overall money management, technological developments, and structural changes in markets. We provide three highly stylized themes that have changed managed futures trend-followers: structural, finance research and risk research. These can serve as a point of departure for further discussion on how firms and strategies evolve. Managed futures have moved from the focused intermediate to long-term trend-following of the 80s and early 90s to more mixed strategies of more markets traded, more styles employed, and alternative time frames for trading. 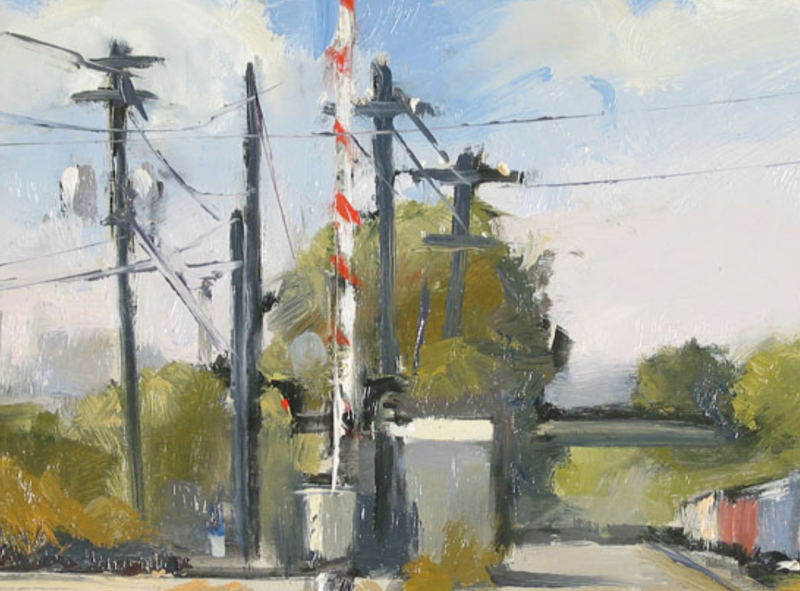 These mixing of style, timing, and markets serve as mechanisms for smoothing returns, improving return to risk ratios, and finding ways to maintain fees as simpler quantitative strategies become commoditized. Trend-following was traditionally focused on finding opportunities within time series with market diversification added in order to offset the mixed quality of the times series signals. Risk management was a core component of programs through the use of stop-loses for each position. Sizing was usually based on a contracts per million basis and not volatility. With cheaper costs for execution and markets to trade around the world, trend-followers increase the range of time frames for trading and the set of opportunities. Changes in market structured has allowed for time and market diversification. Times series work to determine the trends for each market has been coupled with the momentum revolution, so that cross-sectional work of ranking markets is now a core part of trend-following diversification. Strategy diversification has started to include carry type trades and position adjustment based on risk-on/risk-off indicators. 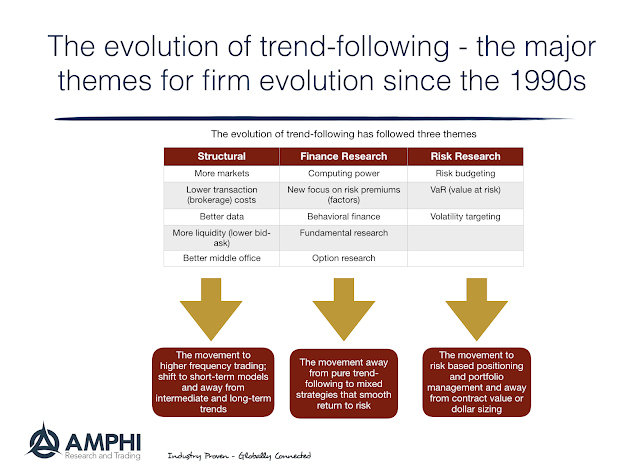 The movement to quant approaches beyond trend opened up program development on two fronts; first, the diversification of programs to take advantage of different risk premiums outside of momentum and second, the development of explicit risk premium programs to have business alternatives to the more concentrated return profile of trend-following. Given the uncorrelated nature of risk premiums and potential issues of liquidity, it is a natural business extension to develop research in uncorrelated models that will business diversification. As prices with core trend-following have further declined, the speed of on new product development has intensified. 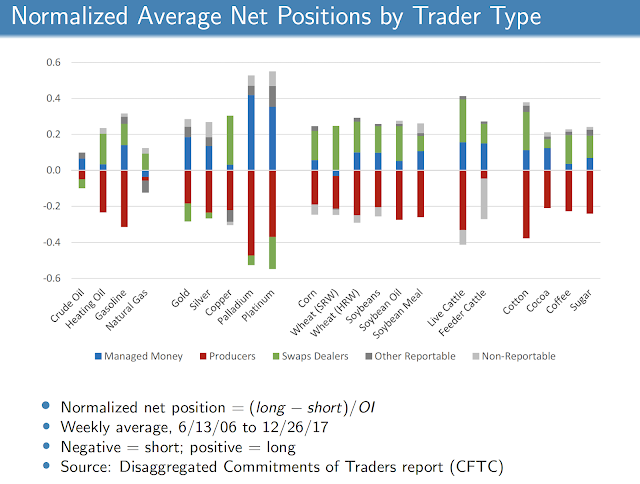 With the development in VaR and advancements in risk thinking, trend-following managers moved from dollar-weighted positions to volatility positioning as a standard. Volatility position-sizing has also been coupled with volatility weighted sectors, and targeted program volatility. All of these techniques are a means of supporting risk management beyond stops to individual positions. The development of risk parity models are consistent this volatility work by CTAs. It could be viewed that risk parity is the no-information, no view portfolio while trend-following is a price-based view. Firms have now formed a range of program offerings from pure trend-following, to alternative risk premiums, to diversified blends or multi-alternative offerings. The concept of single strategy trend-following firms has been essentially dropped to a more general approach of quantitative asset management employing different strategies. There has been a significant capital switch from mutual fund investing to ETFs, from active to passive investing. This has been a significant positive for many investors because there are many "active" managers who are closet indexers and active managers who do not show skill. It is often easier and cheaper to gain exposure through ETFs but the active to passive debate is not the same as the active to buy and hold debate. There will come a time when equities go into a bear market and interest rates start to climb quickly. Investors will have to make choices, stay with a diversified buy and hold portfolio and weather the performance storm or make some asset allocation adjustment. There should be concern that the dynamics of a new bear market will be different from the past. We have to think through scenarios of what will happen if there is a downturn with the current market structure. In particular, active money management of a fund in a market downturn gives trading authority, within investment guidelines, to the manager who may be able to adjust quickly, cut risk exposures, raise cash, and adjust the portfolio mix based on available liquidity. 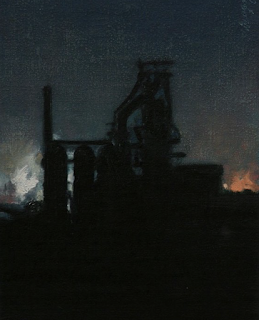 An investment in a passive investment is a blunt instrument when making buy or sell decisions. Passive managers has no authority to adjust risk in a portfolio since the allocations and guidelines are set. There are rules and passive funds will not adjust behavior to market conditions. A sell order in an ETF will trigger orders across a spectrum of markets without concern for liquidity or nuances across markets. 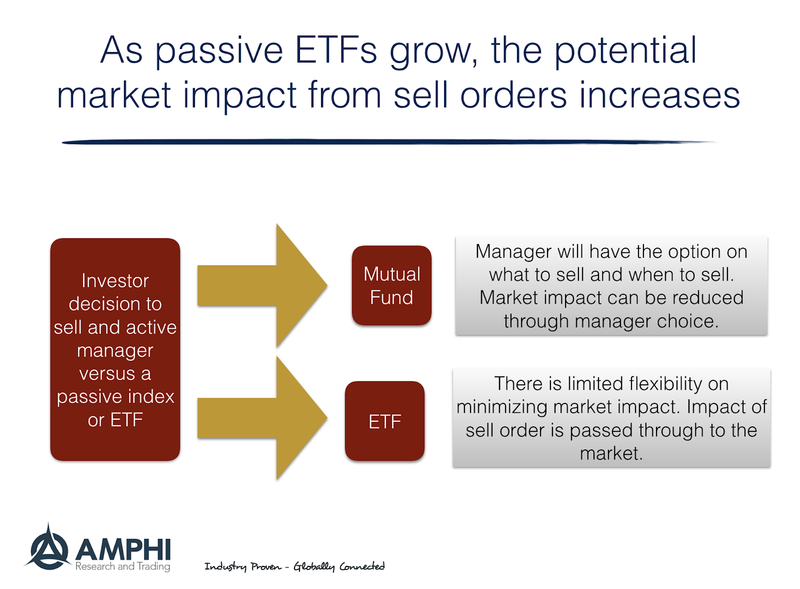 The market adjustments will implicitly be in the hands of the investor with respect to holding the ETF, but there will be no buffer from an active manager to reduce market impact. This may not seem like a large problem when ETF allocations were small, but it could be a real problem now. It is compounded if the ETF portfolios invest in assets that may be less liquid in a market downturn. The significant amount invested in LQD and HYG, two of the largest credit and high yield ETF, could make this problem a reality. Investors should be checking for the exits before an investment fire begins. 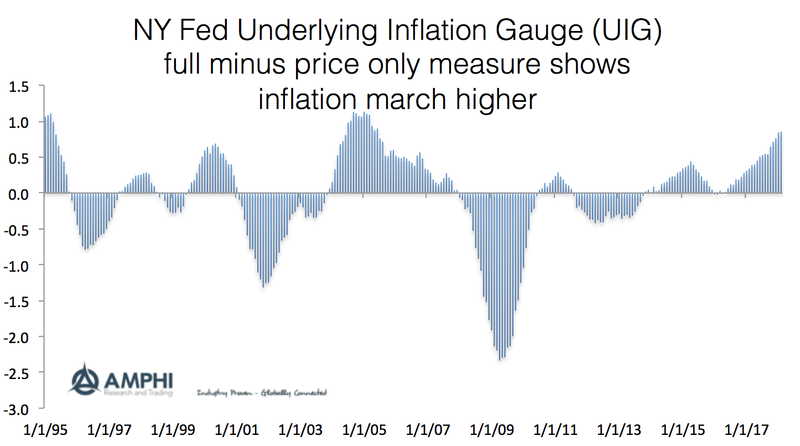 Inflation is here. There is no doubt, but that number will be around 2%. The only question that is unclear is whether there will be overshoot beyond the 2% level. Clearly inflation in the Eurozone is still not near 2%, but all inflation placed bets seem to surround the target level that have set by central banks. Investors have to ask the simple question of whether the beyond 2% is realistic. 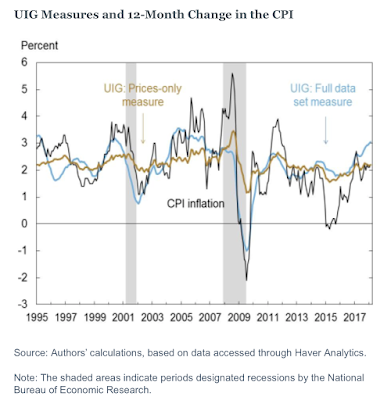 A place to help answer that question is the NY Fed Underlying Inflation Gauge (UIG) which looks at disaggregated data of price and prices plus fundamentals using a dynamic factor model. The latest numbers below show a growing gap between the two UIGs and the CPI. 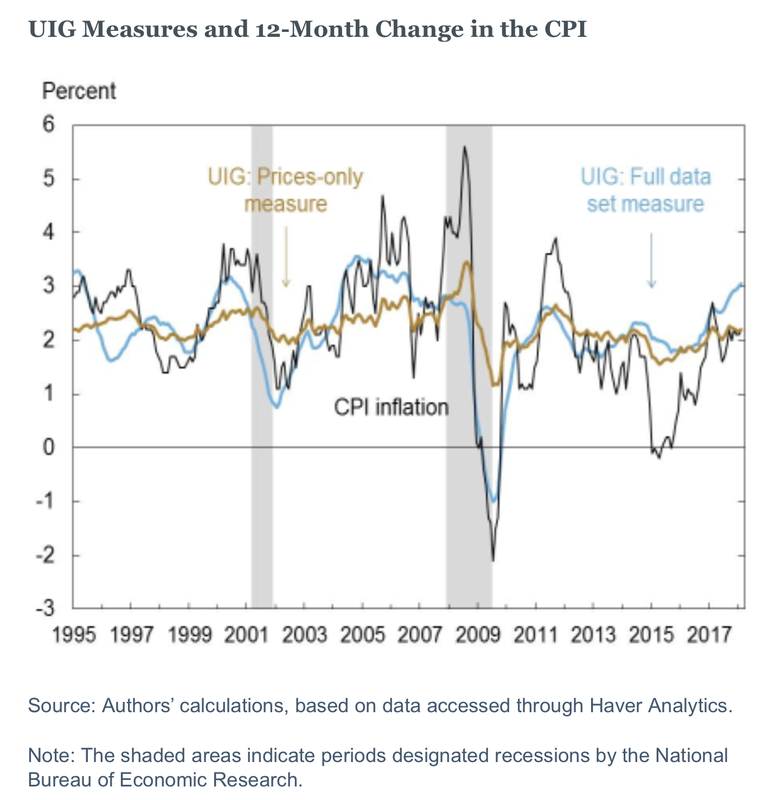 The price based UIG shows stability around 2% but the full data set measure has accelerated to above 3 which is highest levels we have seen since before the Financial Crisis. The current gap between the full and prices measure is also at the highest level in over a decade and a half. Putting stock in these number should cause any investor to think about their bond duration exposure and whether they should be holding more commodity exposure. 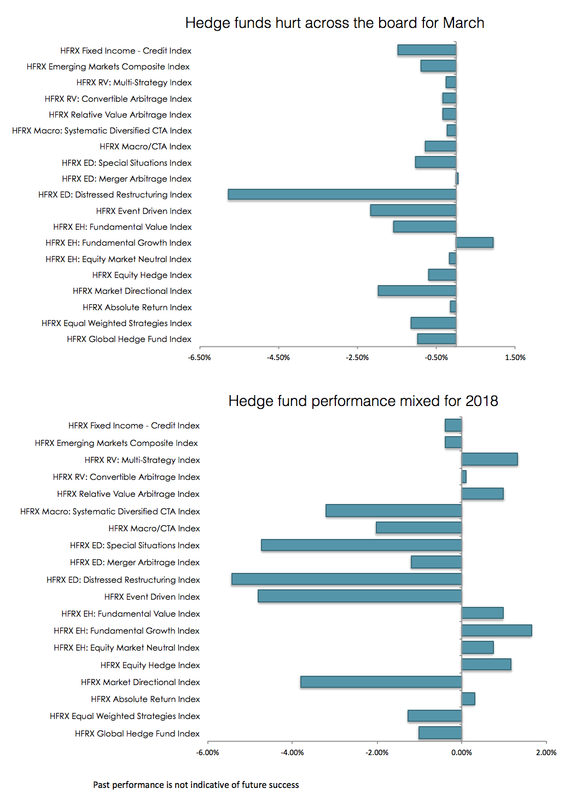 The reversal in equity performance in March proved to be a difficult challenge for hedge funds with most HFR strategy index returns negative for the month. On a relative basis, macro and managed futures index returns were better than many equity focused hedge fund strategies. 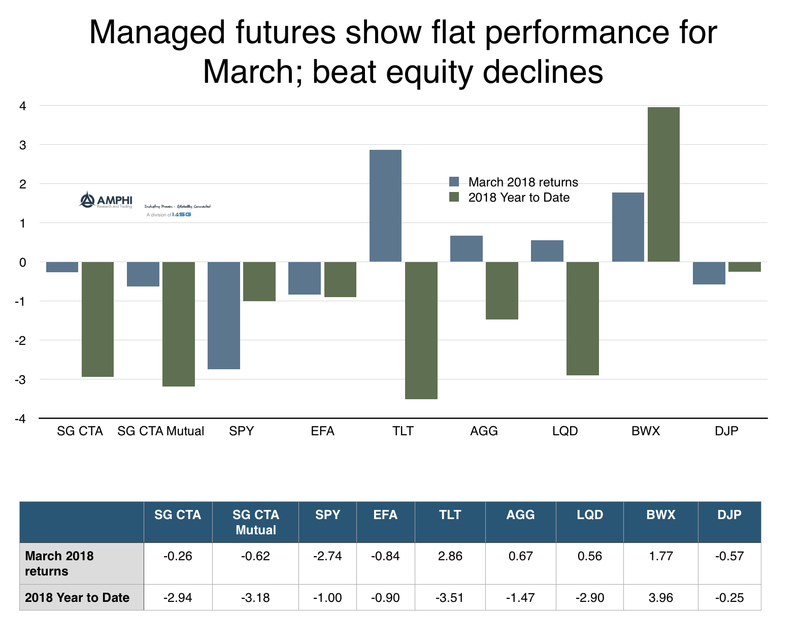 The first quarter returns were dispersed across strategies with a clear negative skew with both February and March being difficult performance months. Regardless of strategy, directional choppiness and volatility transition were not good for most hedge fund manager. 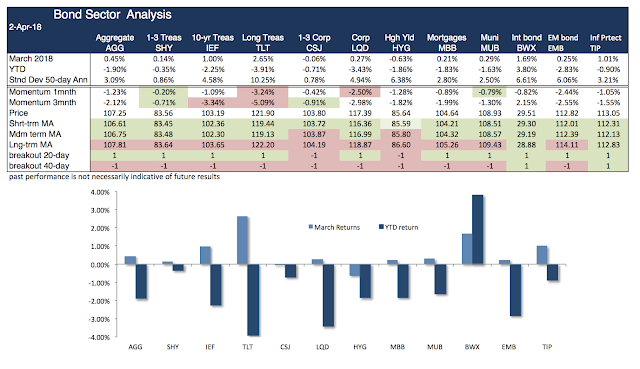 After a good start, February was hit with a volatility spike and repricing event. March was slightly calmer with lower extremes in volatility, but the general volatility level is now almost double from end of 2017 levels. The market was also hit with price transition spikes in both February and March as sentiment changed with concerns about trade wars, growth, and Fed changes. Few managers were able to exploit these macro directional trends in both equities and fixed income. Nevertheless, higher volatility or return dispersion is good for most hedge fund strategies which are based on security or market selection skill. Skill is usually displayed when there is more market differentiation. Should investors be worried about credit spread return expectations or expectations of credit default losses in the current environment? Before we answer the credit questions about the current environment, investors may need a framework for weighting the types of risks in the credit markets. This is the fundamental question concerning holding any credit exposure, and an exhaustive research using variance decomposition of a large dataset shows that you should be worried about both. 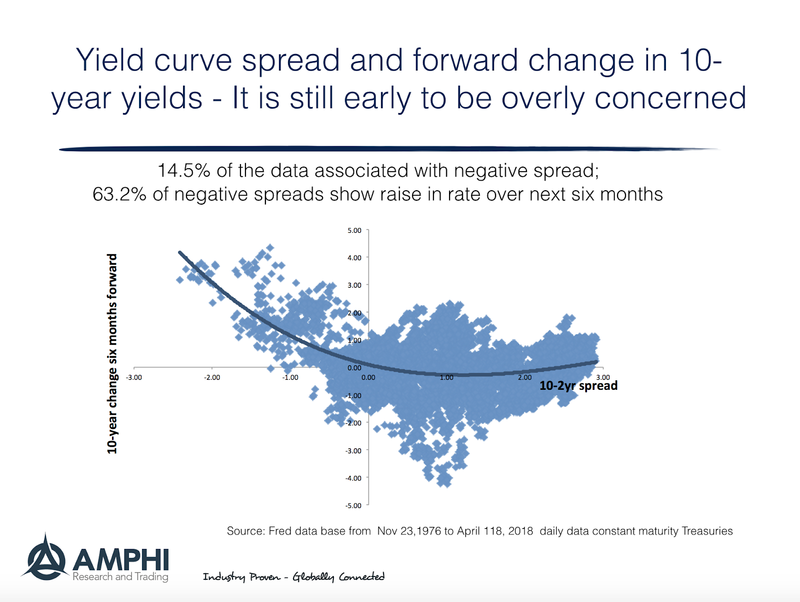 See "What Drives the Cross‐Section of Credit Spreads? 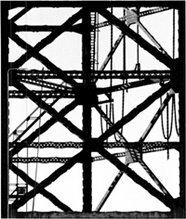 : A Variance Decomposition Approach", by Yoshiio Nozawa in the October 2017 Journal of Finance. This work which follows a similar approach used to analyze variance decomposition on stocks shows that risk can be decomposed into an expectations comment and a default component. At the portfolio level the credit default risk is diversified away and the majority of risk is with changing expectations of risk premium. There are, however, differences in the weighting based on the credit ratings - the importance of credit loss is inversely rated to the credit rating. The author focuses on the dynamic between stocks and bonds and finds that there is a distressed effect whereby firms with higher risk bonds closer to default actually have lower equity returns. 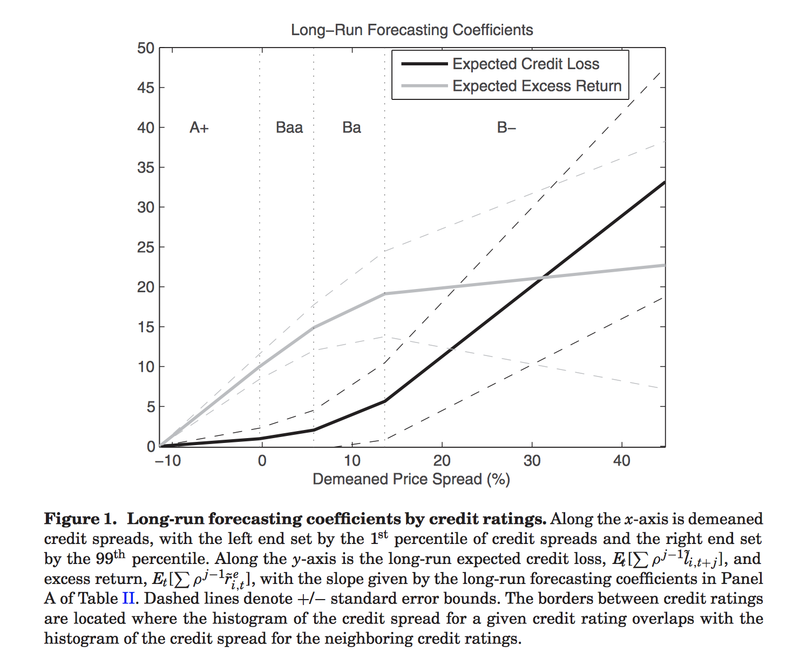 There is a significant inverse relationship between credit loss risk and profitability but there is no relationship between bond and stock risk premiums. This work is important when applied to current events. Credit default risk can be diversified away and time varying risk premiums can be the key driver of spreads which means that macro effects will likely drive credit spreads. Credit allocation decisions at the portfolio level are still a macro bet which may be closely tied to business cycle analysis. Spreads may move higher even if there are limited signs of greater credit defaults. Investors may face spread risk even if default rates are low. Global equity index signals suggest short positions while bonds are showing stronger long trend signals. The repricing of risk usually is associated with movement from more risky to less risky assets. Short rates suggest more uncertainty on Fed making good on rate rise promises. Metals are signaling a growth slowdown. The general tenor is that trends in most liquid markets more likely. Managed futures index returns were slightly negative for the month with the SocGen CTA index down 26 bps and the SocGen CTA mutual fund index down 62 bps. The BTOP 50 index gained 26 bps for the month. This compared favorably against many equity indices, but was less than the fixed income indices. Trend-following managers were not able to catch the early rotations from equities to bonds during the second half of the month. The flat performance for managed futures was consistent with the higher volatility environment and relative flat price slopes in many asset classes. Equities rebounded during the first half of the month only to decline once talk of "trade wars" accelerated. Similarly, the bond prices were range-bound until the up trend in the second half of the month. 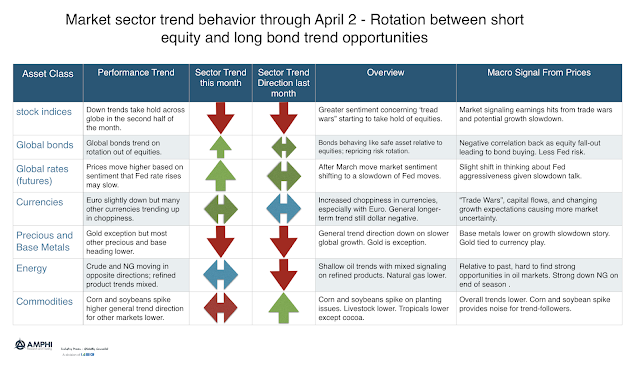 Trend rotation now has short equity and long bond positions for April. 2018 has surprised many investors with a change in focus from economic growth and increased earnings from tax cuts to an emphasis on volatility repricing. 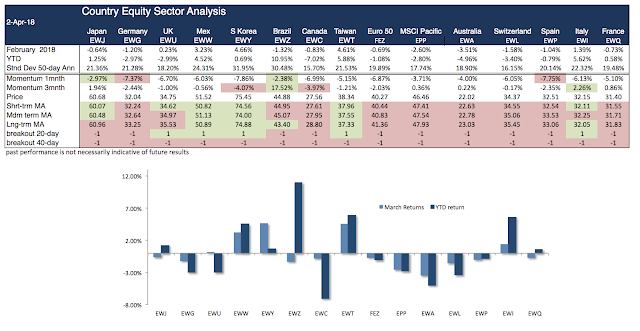 Most equity factor and sector styles generated negative returns for the first quarter with the only exception being emerging markets and growth. The only positive price-based signals are within the growth sector. 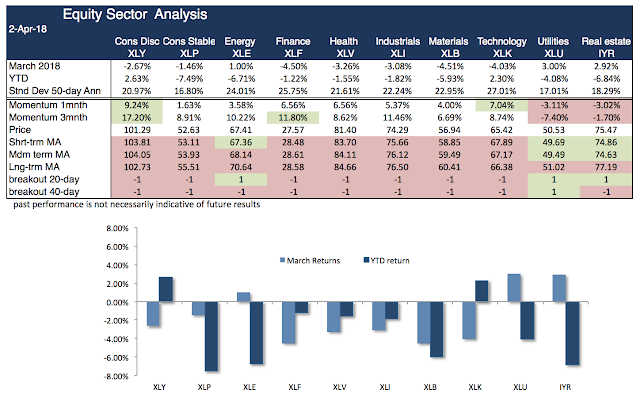 Equity sectors were also generally negative with technology and consumer discretionary as the only two sectors that have generated year to date positive returns. 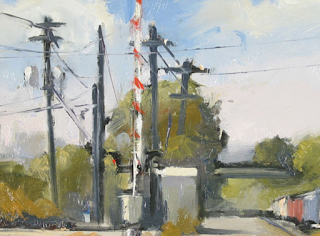 Our moving average and breakout signals only show positive signals in utilities and real estate as bond markets rallied in the second half of the month. Country equity ETFs showed some large dislocations with Brazil, Taiwan, and Italy being strong performers. Canada and Australia were negative outliers with poor performance. Surprisingly, the best potential trends are with strong global trade countries such as Mexico, South Korea, and Taiwan. 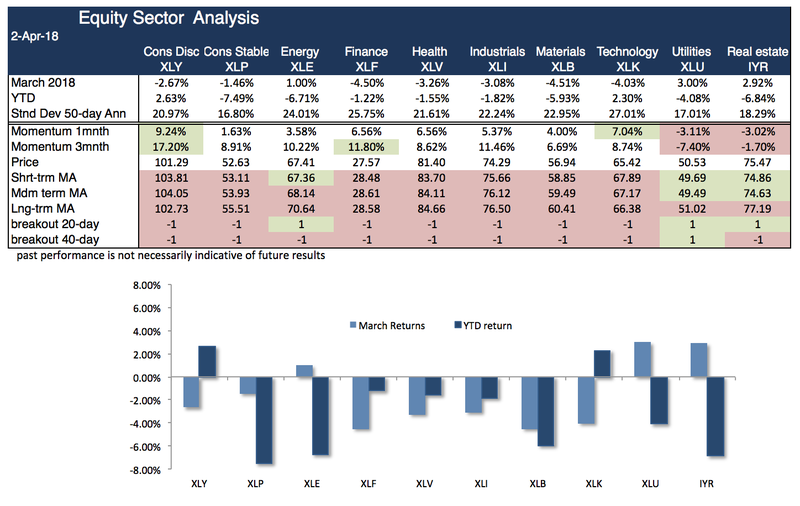 Bond sectors in March showed a strong turnaround in performance relative to last month. Most of the moving average and breakout indicators point to strong bond returns; nevertheless, long duration and credit have underperformed in the first quarter and the only positive sector for the year has been developed international bonds. The first quarter of the year has generated poor return performance across all asset classes as higher volatility forced a repricing of risk by investors. Markets are seeing a rotation from risky assets to less risky with bonds looking more attractive this month.